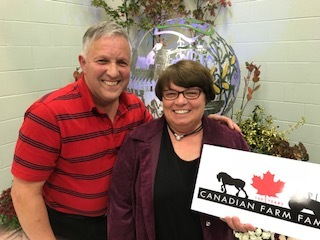 The Golden Horseshoe Food and Farming Alliance has been celebrating Canada’s 150th by paying tribute to farm families across the Golden Horseshoe who have been farming since Confederation, some even longer. 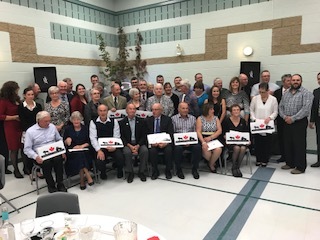 These families have had a significant contribution to the development and health of our country and province, and it has been our absolute privilege to take part in celebrating them at various events, presenting those who have applied to the program with certificates of recognition and Canada 150 Farm Family signs for their farms. “While farming has changed since 1867, these families’ dedication and contribution to farming has not,” shared York Region Chairman and CEO Wayne Emmerson. 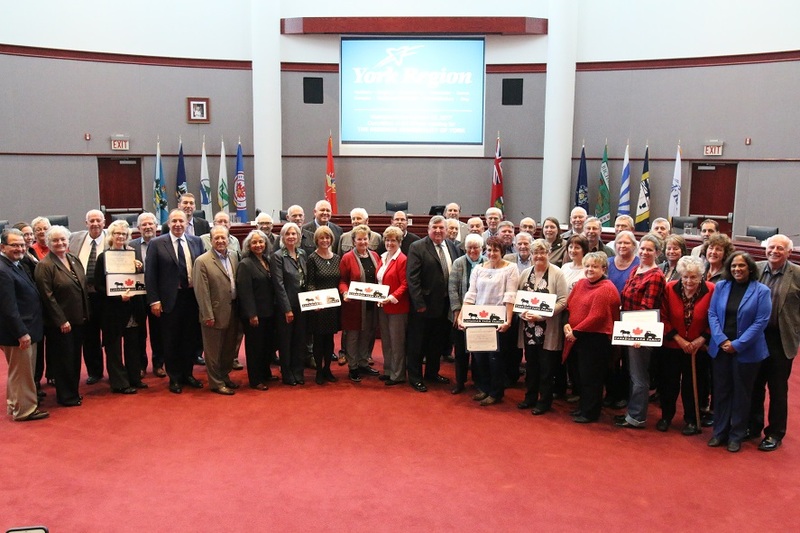 York Region recognized 17 of their local 150 farming families on October 12th at an exciting event following a Council meeting regarding the region’s new agri-food strategy. 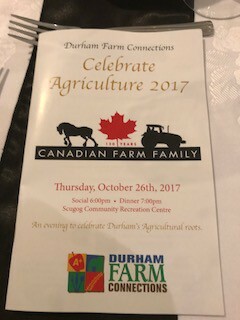 Prior to that, on September 20th, Halton Region recognized 37 farm families, with 35 in attendance, at a special celebration dinner. 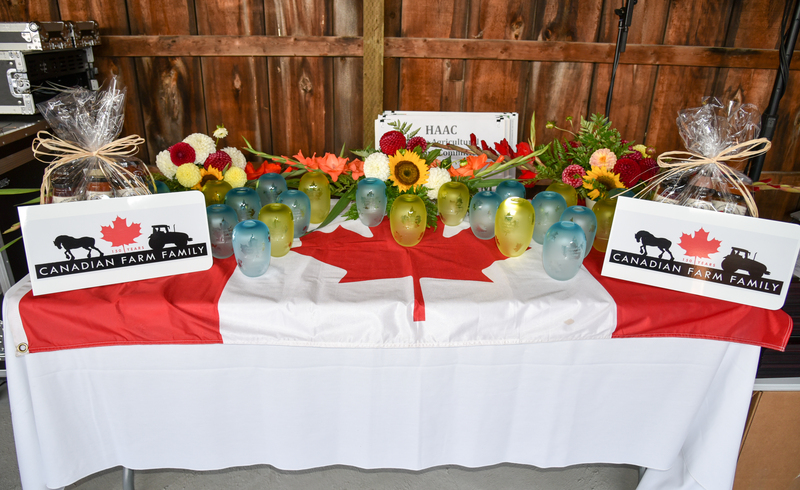 In addition to the certificate and farm gate sign, each Halton Farm Family also received a Canada 150 vase from Glen Williams glass artist Carl Nesbitt that were specially commissioned. 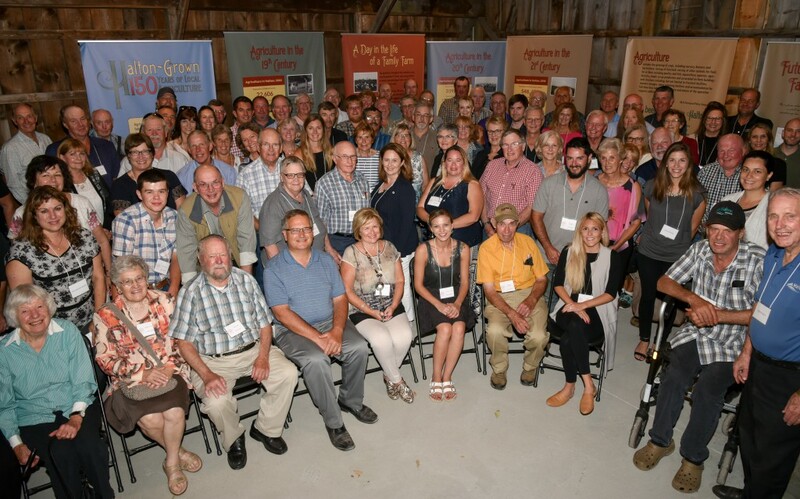 The Region of Durham has identified an astounding 136 farmers to date whose families have been farming for at least 150 years. 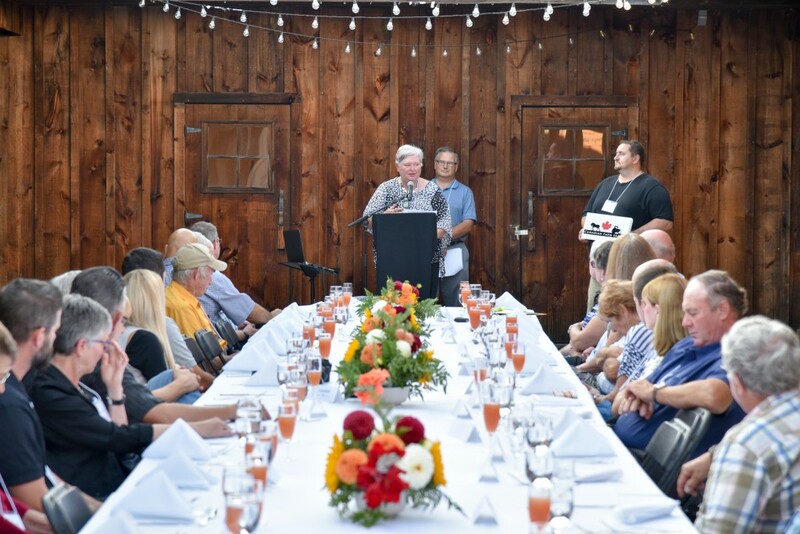 Forty were in attendance at their recent celebration on October 26th. Gord and Ruth Taylor, pictured below to the left, proudly represented the Taylor family who have been farming in Durham Region since 1787! These celebrations have brought together remarkable, robust groups of people into one room. And fittingly, in tribute to agricultural history, all the events have also had wonderful displays of photos depicting agriculture over the last 150 years. We expect more families to be identified from these regions before the end of the year, as well as from Niagara and Hamilton. The Canada 150 Farm Family Program is still accepting applications. The next Canada 150 celebration we have to look forward to will be in Peel Region in November. The Golden Horseshoe Food and Farming Alliance would like to send another congratulations to all, and thank you. To support these families who have been working the land and feeding our communities for over a century, remember to buy, support and eat local.